Led by a qualified instructor, set off from the Environment Centre and explore both the nature reserve and Hull Road Park. Nordic Walking is suitable for all ages and fitness levels; full instruction will be given and Nordic Walking poles provided. 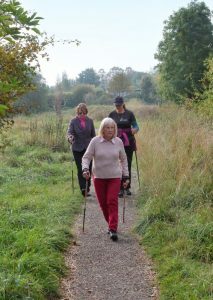 Not sure what Nordic Walking is and why it’s so good for you? See below for the instructor’s explanation. This session is suitable for beginners and will focus on building skills and technique ready to move onto the 2pm session which is open to those who have some previous Nordic Walking experience.